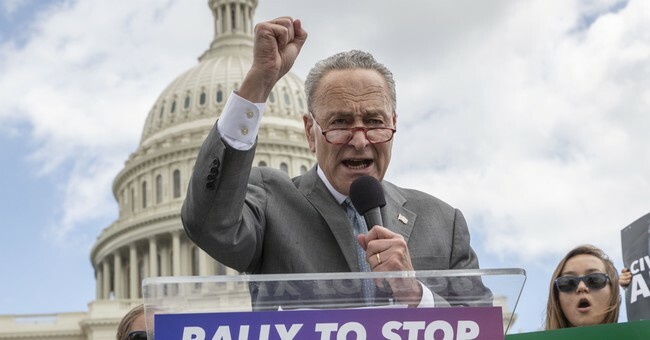 Democrats coordinated and planned over the long holiday weekend to obnoxiously interrupt the confirmation hearing for Supreme Court nominee Brett Kavanaugh. The hearing started Tuesday morning and will likely run through the end of the week. Right from the start, Democrat members of the Senate Judiciary Committee repeatedly spoke out of order, personally attacked Chairman Chuck Grassley and demanded the hearing be adjourned. Cortney has the details covered here. None of this happened by accident and was led by Majority Leader Chuck Schumer. Sources tell @Kasie and me that this is a coordinated effort by Senate Dems on the Judiciary Committee, and that it was discussed during the holiday weekend on a call organized by Schumer. By 11 a.m., Kavanaugh still hadn't given his opening statement. The hearing started at 9:30 a.m.
Grassley now says Kavanaugh’s opening statement will be delayed because of the democrats objections this morning. “It’ll probably be later this afternoon now,” Grassley says if Kavanaugh’s Opening Stmt. “How long you want to go on with this?” - Grassley then asks Dems. In addition to Democrats, there were a number of interruptions from protestors in the hearing room. They were escorted out by Capitol Police. This is the same tactic House Democrats used last month during a House Judiciary Committee hearing where fired FBI agent Peter Strzok testified. At one point Democrats literally cheered Strzok on.